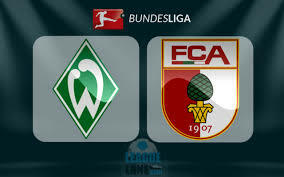 Werder Bremen welcomes Augsburg in a match from the 21th round of the Bundesliga. Let’s head out to the Weserstadion, to see what’s going on with these two teams. Werder started the season very well, but with time they got down to 10th place. Right now Werder have 27 points and a record of 7 wins, 6 draws and 7 losses. In their last five games they won only once, beating Hannover 96 away from home. They also made three draws and suffered one defeat. In their last game Werder shared the points with Nurnberg for a 1-1 draw at the Max-Morlock-Stadion. Johannes Eggelstein opened the score for Werder, but Nurnberg equalised with a goal from Mikael Ishak four minutes before the end. Despite of being 10th in the table, Werder still have a chance to attack European qualification. They are just 4 points behind the 6th Wolfsburg and the Europa League zone. They just need to push. Augsburg are 15th in the Bundesliga standings with 18 points. They have a record of 4 wins, 6 draws and 10 losses. In their last five games Augsburg won once, but also suffered three defeats and made one draw. They enjoyed success in their last game, though. Manuel Baum’s boys celebrated a 3-0 win over Mainz 05 at home. Alfredh Finnogason scored two penalties for the home side, while in the second half he scored one more goal for a hattrick. It was a perfect day for the Icelandic striker. Augsburg really needed this win, because before this they suffered three consecutive losses. That’s our view at the Bundesliga clash between Werder Bremen and Augsburg at the Weserstadion in Bremen. Werder are favourites to win, having the home advantage. But in their last game Augsburg showed some good football, have this in mind.